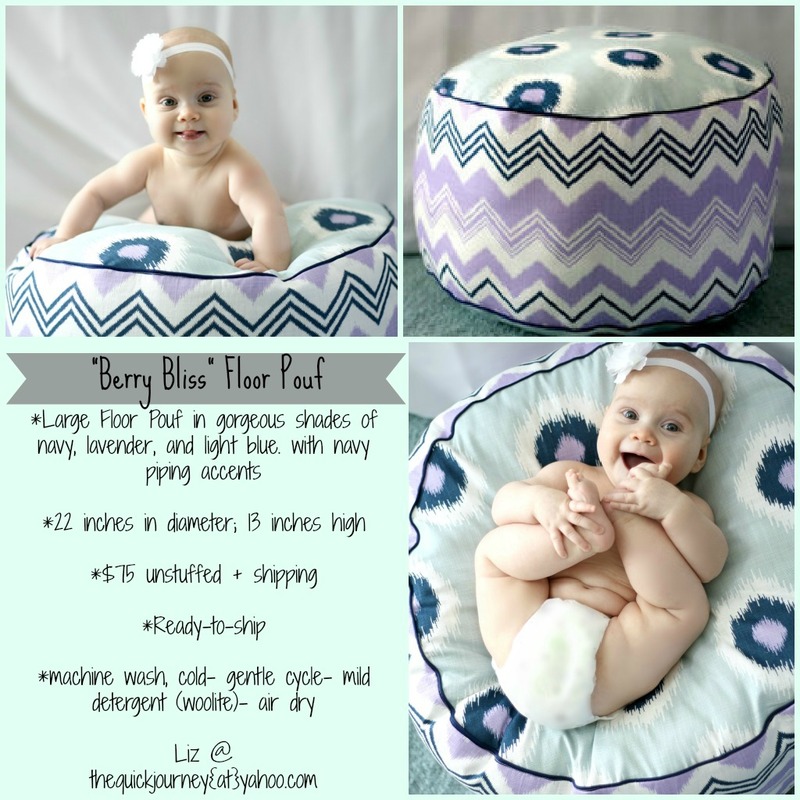 Here is my latest, and greatest floor pouf! What do you think? Do you like the color combo? I thought it was perfect together- the mix of colors and patterns. It gives the pouf a personality! What style, colors would you like for a pouf? Love the color combo ... and love the baby even more! What a cutie! thank you! ;) I am kinda in love with the baby, too. Absolutely adorable!! Love the ikat & chevron together! !